Property 7: *NEW* Perfect Retreat -- Dreaming of a Weekend Escape! Property 11: The Outdoors Are Calling so Stay At The Acorn Cottage! Property 13: Your Home Away From Home! Property 22: Lakefront--Hot Tub, Pool Table, Dock, Boats, WIFI-- !! Property 26: The Lehigh Lodge - Featured in Philadelphia Magazine - Book Now for Summer! Property 27: Mountain Top Chalet with Fantastic Views, Location, Location, Location! Property 34: Cozy retreat on Jack Frost Mountain! Property 35: A Great Place to Relax & Unwind- Superb 3 Bedroom Home w/ Private Beach Access! Property 40: Family Friendly Home. Clean, comfy, easy parking. 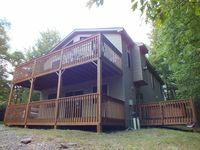 Property 41: Blakeslee Forest Retreat w/ Fire Pit & Deck! Property 47: Walk to Beach, Pool & Clubhouse. 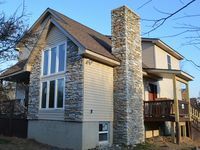 Huge Furnished Deck & Grill; Hot-Tub & Sauna! Property 49: Nearby Hiking, Biking & Downtown Shops. Welcome Spring with a Relaxing Getaway!